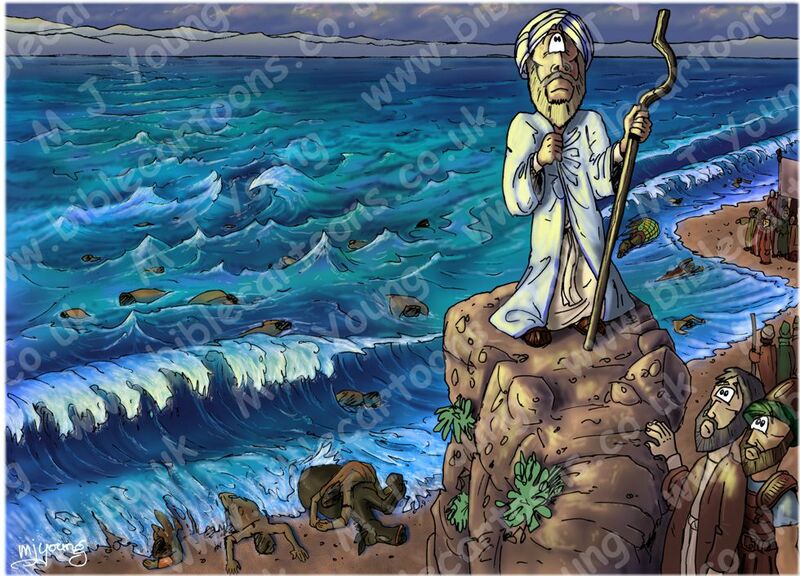 I’ve just finished my last cartoon in the 14 cartoon series “The parting of the Red Sea.” This last scene shows Moses atop a fictional rock outcrop, turning away from the Red Sea, which has just closed over & drowned Pharaoh & his army of Egyptian soldiers. Now that I have finished this series (the largest number of cartoons in any one story in Bible Cartoons history!) I will return to the New Testament for a while, & drawn some cartoons there. I may well draw one or more of Jesus’ parables.